Love a good BBQ? Me too! Clarkson Potter sent me a copy of Playing With Fire AND is providing a prize pack for one of my lucky readers! All opinions and photos of my recipe recreation are my own. Amazon affiliate links are included. The weather is finally starting to feel like spring, and I can’t wait for BBQ season to be here in full magnificence. There’s nothing quite like hot, flavorful barbecue. 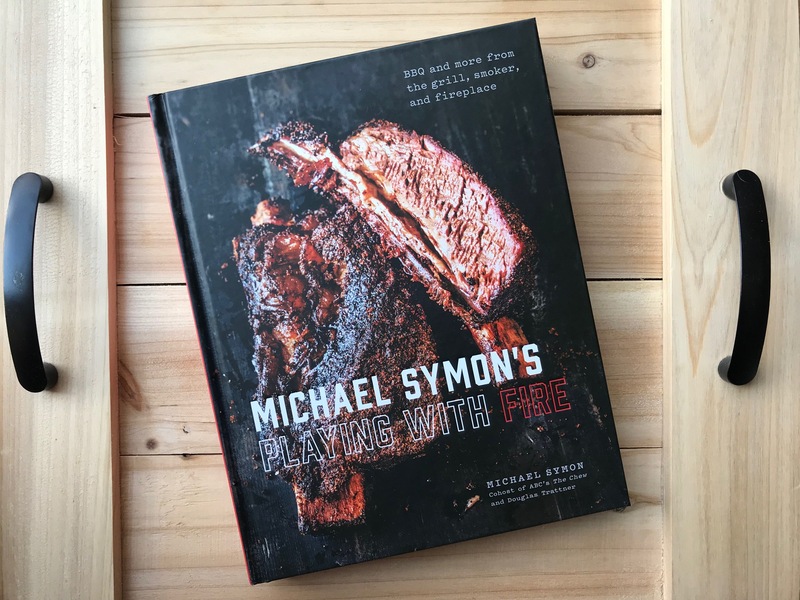 I’ve spent the last week drooling over the recipes in Michael Symon’s new cookbook, Playing With Fire. The recipes are easy to follow, the dishes flavorfully delicious, and the photos are stunning. I want to make EVERYTHING. 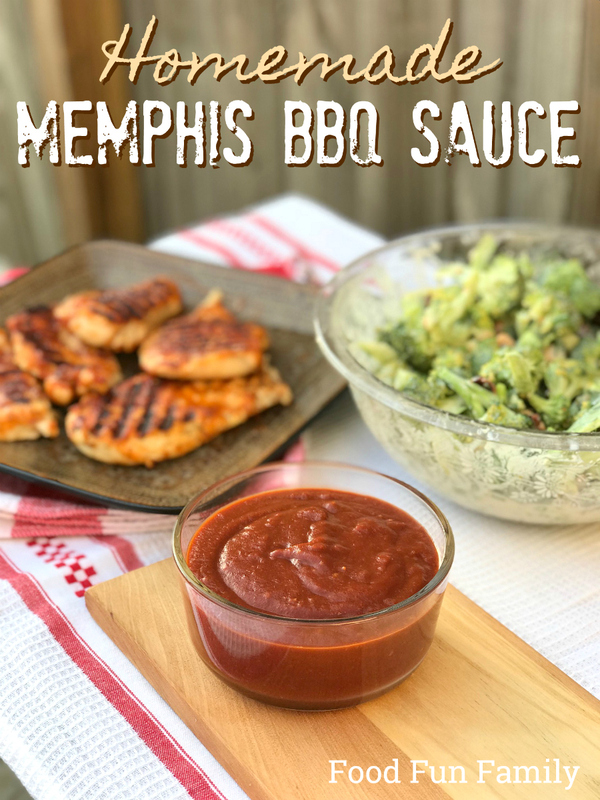 I decided to start simply and recreate the recipe for Memphis BBQ Sauce (along with a side of Broccoli Salad). 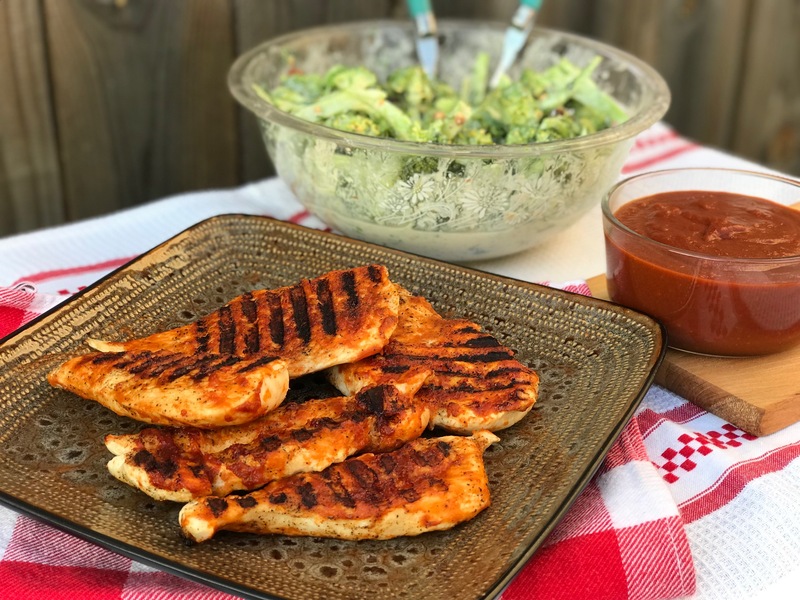 The sauce was a hit with the entire family, and a perfect addition to some grilled chicken. 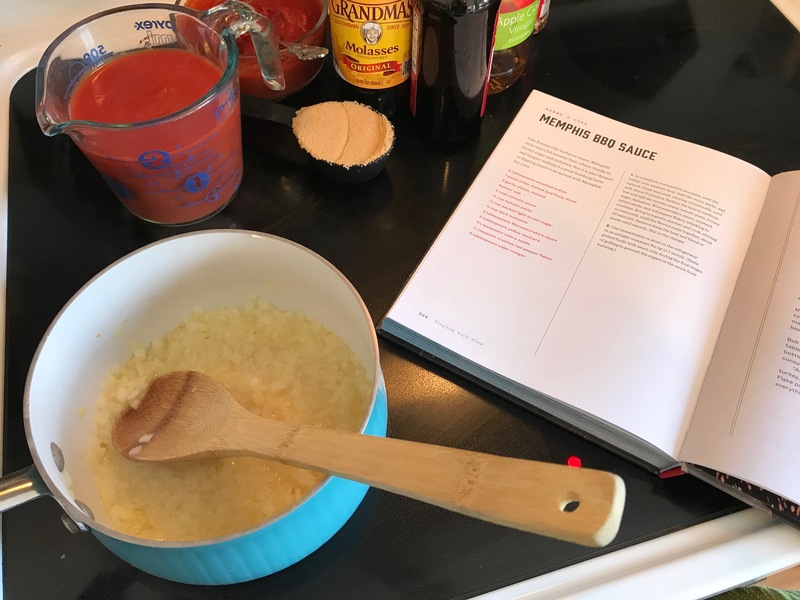 The recipe is included below, along with a fabulous giveaway that you won’t want to miss! Published by Clarkson Potter, an imprint of Crown Publishing Group. In stores now…or buy it on Amazon today! 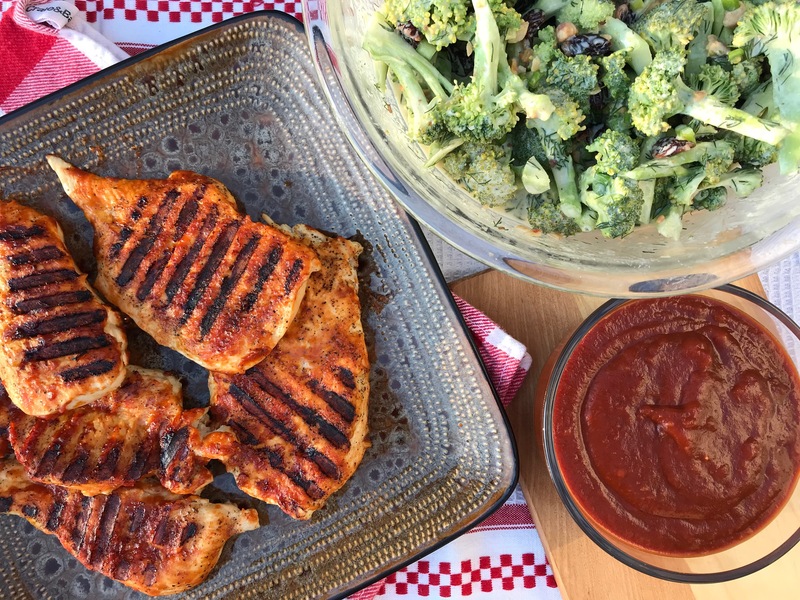 This sauce is perfect for any grilled meats, but is especially tasty on grilled chicken! 1. In a medium nonreactive saucepan, melt the butter over medium heat. Add the onion, garlic, and a pinch of salt and cook, stirring occasionally, until soft, about 5 minutes. 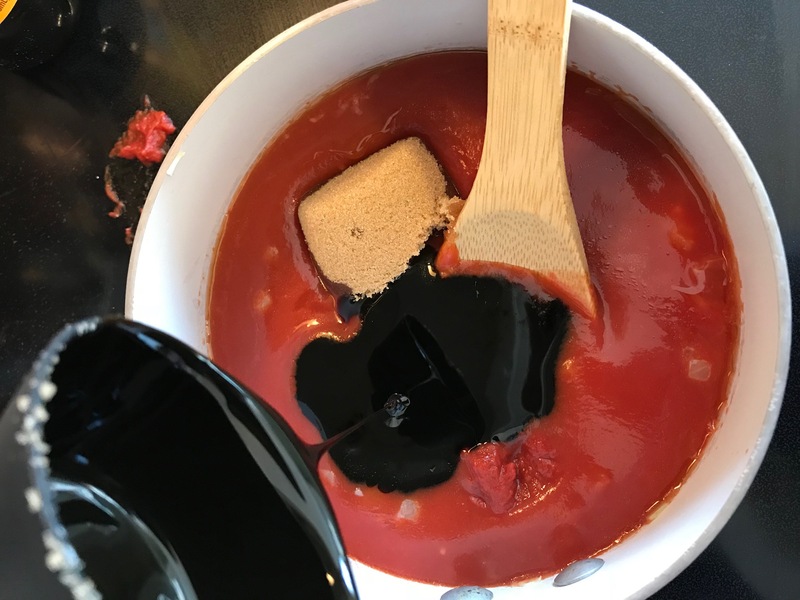 Reduce the heat to medium-low and add the tomato sauce, tomato paste, brown sugar, molasses, Worcestershire sauce, mustard, celery seeds, and red pepper flakes, whisking to combine. Bring to a gentle simmer and cook, stirring occasionally, until the flavors come together, about 30 minutes. Remove from the heat and blend or puree until smooth. Stir in the vinegar. 2. Use immediately or store in the refrigerator in an airtight container for up to 1 month. **Baste grilled foods with sauce only during the final stages of grilling to prevent the sugars in the sauce from burning. Note from our family: we found that the sauce was even tastier the 2nd day! Interested in the recipe for the broccoli salad that is pictured here? That can be found on page 210 of Playing With Fire! The sauce is made with plain Greek yogurt and is simply delicious! 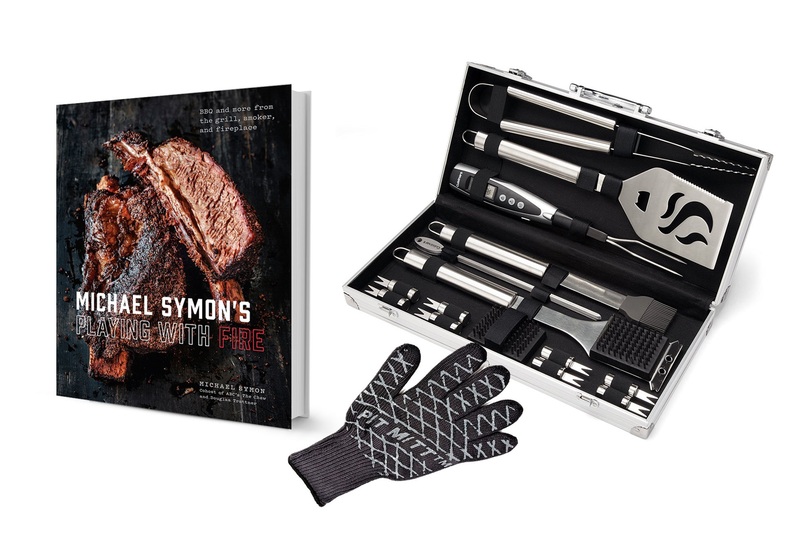 And a barbecue pit mitt glove! I would love to try this with ribs for my next family BBQ! My favorite food on the grill is bacon wrapped corn. I like to grill burgers and grilled chicken. My favorite thing to grill is tri-tip. I do mine with a dry rub and it’s delicious! I love to eat BBQ chicken; it’s the best tasting way to serve chicken. Yum! That looks and sounds so good. My favorite thing to grill is definitely shrimp and corn on the cob! 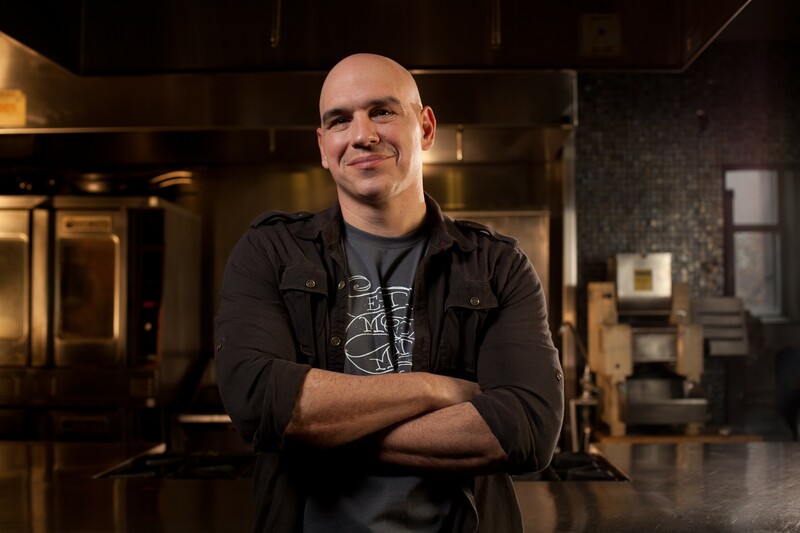 I have always been a fan of Michael Symon! I love to grill ribeye steaks. I love grilling veggies from our own garden. We love to grill, and eat, beef and chicken for fajitas. I love grilled shrimp, also. 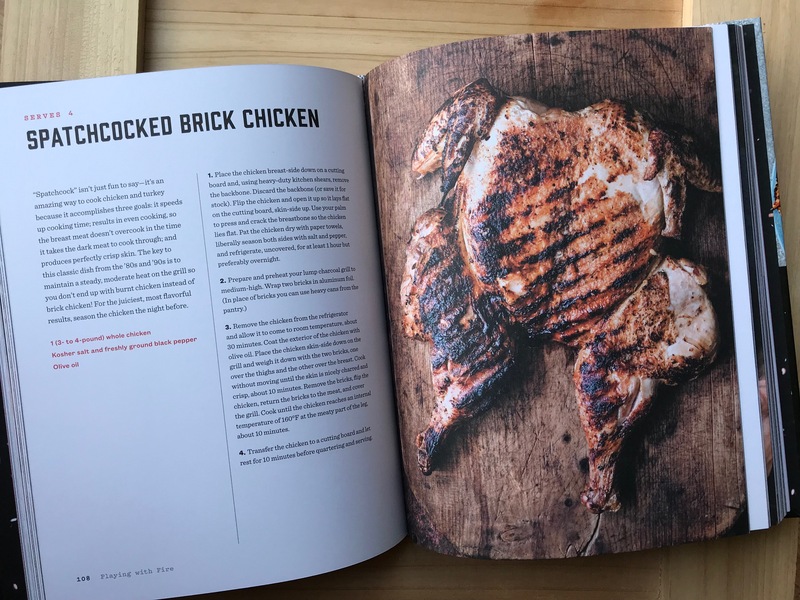 I like to grill burgers but I love grilled steak or chicken. I like to grill a steak, Maui steaks are my favorite.